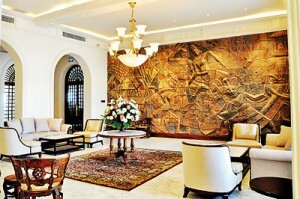 With one of Colombo’s legendary landmarks, Galle Face Hotel reopening its doors after a facelift, Vinusha Paulraj walks down its corridors from a dim distant past to modern times. Lined by Dutch cannons strategically placed to ward off returning Portuguese fleets, the mile-long promenade by Colombo’s sea front was the favoured spot for the colonial gentry ‘to take in the air’. It was British Governor Sir Henry Ward who commissioned the Galle Face Green, as we know it, in the late 1850s. Earlier the Green had sprawled over a much larger expanse with horse races being held there until they were moved to Colombo’s Race Course in the early 1800s. Like the Green it overlooks, Galle Face Hotel’s stately façade is an integral part of Colombo’s landscape and one that has morphed with time. As the historic hotel last month proudly unveiled its refurbished interiors with the management’s vision focused on restoring some lost grandeur, one of the hotel’s newly installed resident historians Sandali Matharage walked us through from past to present. A team of British entrepreneurs constructed the Galle Face Hotel on the Green’s Southern end in 1864 where a Dutch building housing ammunition for their cannons and the soldiers manning them had once stood. The Dutch structure called “Galle Face House” was completely torn down, says Matharage, and rising in its place was “What we call the Hotel’s North Wing” designed by renowned architect Thomas Skinner. Prior to the Suez Canal’s opening in 1869, the hotel had only consisted of the North Wing but shorter travel times saw a greater influx of visitors brought in by the ships calling at Colombo and the “South Wing” was built in 1890 to meet this demand. The verandah runs across the building’s length, opening up to an arrestingly regal pillared porch which has seen the likes of Rudyard Kipling, Pope John Paul II and Steven Spielberg pass through. Where once horse-drawn carriages bearing the Galle Face Hotel crest drew up, today taxis wait outside the same low walls hoping for a guest in need of a quick ride. Vintage photographs of the main entrance show some notable changes during the 1960’s -70’s. 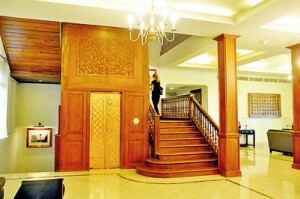 Glass panelled doors were replaced by thick wooden ones with ornate oriental carvings. The balustrade trimming a terrace over the porch was substituted by “something resembling tiles”. “Originally there weren’t any majestic carved doors,” says Matharage explaining that in their place stood elegantly framed glass, with no local elaborations. A colour photograph is how they discovered that the Galle Face Hotel was actually pink, Matharage says. The rosy hue owing to building materials used is now covered under layers of plaster. Legendary parties are said to have been hosted in the “Coconut Room”. Famously known by that name in the early 1900s, the room had witnessed New Year’s Eve parties particularly during WWII that had even drowned out the sound of air raid sirens. “Luckily it was just a drill and the band played on,” she smiles. In the 60’s the Coconut Room played host to talent searches like Radio Star Ceylon, hosted by Vernon Corea. It was here that the Jetliners were discovered and the band went on to record their first album in the lobby. Minus dated tapestry trailing down from the skylight, today this space is called the Jubilee Ballroom. 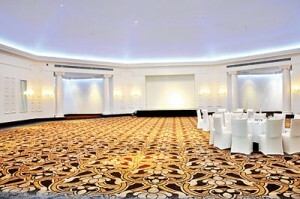 No colonial hotel is complete without a grand ballroom. Before renovations guests could peer down into Galle Face Hotel’s grand ballroom from the balconies but these have now been sealed off to keep noise from echoing throughout the hotel. Between the two renowned venues is what we’re told is “the Conservatory” which serves as an extended foyer to both ballrooms. Brass torch-like lamps resembling the original lamp-shades found in the dining room are new additions here. Time has invariably muffled much that went on inside the Galle Face Hotel. Reports of a spa run by two sisters in one of the rooms, fail to mention where their establishment was in fact located. The Sri Lankan touch is seen in the lobby where artist Tissa Ranasinghe’s large terracotta mural installed in 1970 depicting multi-ethnic worship in the country, previously visible over the former front desk, is now in full view at one end of the lounge. The former smoking-lounge complete with wood panelled screen doors where Arthur C.Clarke is said to have penned the final chapters of his Space Odyssey trilogy isn’t included in the in-house tour. But here behind the screen door is another ‘find’ from the 1940’s – an incomplete mural of brightly coloured dancers and fresh green foliage by Russian artist Alexander Sofronoff. 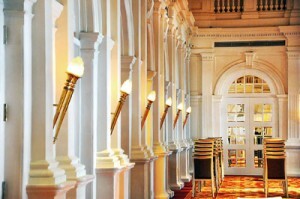 Connecting the North and South Wings is the black and white corridor synonymous with the Galle Face Terrace where countless cups of afternoon tea have been savoured. Old photographs suggest that initially this was the restaurant itself, overlooking a larger lawn. Now the restaurant has grown, occupying more lawn-space. Today its wood-toned interior houses guest rooms, a library featuring works of all celebrity guests and a museum in the conference area where plaques with familiar faces – former 007s, sportsmen, Olympic athletes, celebrated politicians, revolutionaries, clergy, royalty, explorers and authors who have visited the hotel stare back at you. Next to the china “imported from the UK” imprinted with each modification of the hotel’s logo, a particular exhibit catches our attention. The cannon ball sitting on a velvety bed has a curious tale. Misfired by a soldier in training, it had sailed through the hotel’s roof landing on the ground and rolling under a table around which a family was enjoying breakfast. Thankfully it failed to detonate. It is a potent reminder that the Galle Face Hotel has seen it all and still stands strong. A Feature in the Nation newspaper in Sri Lanka mentions Vernon Corea in a History of Galle Face Hotel in Colombo, Sri Lanka. Award winning Australian Photographer Graham Crouch (based in New Delhi in India), mentions Sri Lanka’s legendary broadcaster with Radio Ceylon/SLBC, Vernon Corea in connection with his photograph of Galle Face Hotel in Colombo, Sri Lanka. 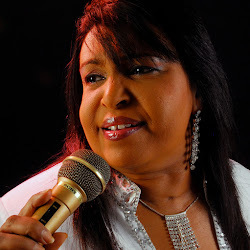 Sri Lankan mega star Mignonne Fernando of The Jetliners fame. Photograph courtesy of the Sunday Times Sri Lanka. 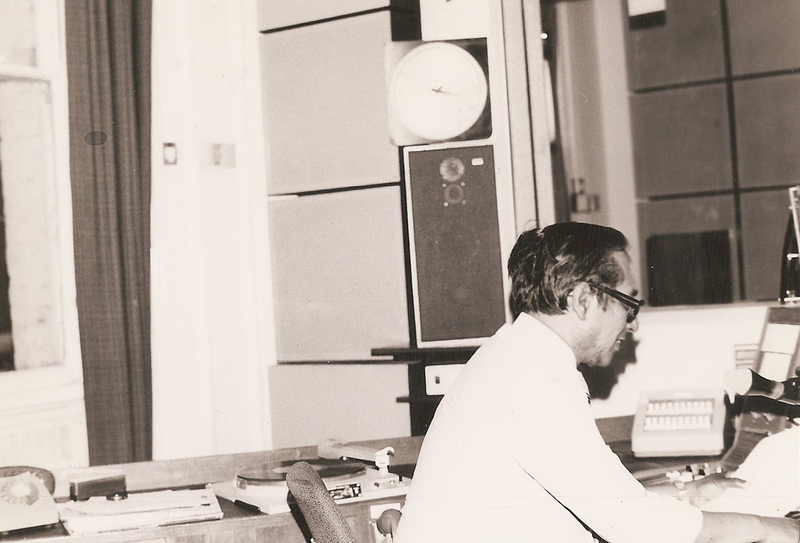 Vernon Corea of Radio Ceylon photograph taken in the 1960s. ‘A bubbling Radio personality. a charming gentleman and a sincere friend to us. Happy Birthday Vernon and may the angels sing for you!’ Mignonne. Vernon Corea’s birth anniversary fell on 11th September 2013. He would have been 86 years old. The first ever superstar group from Sri Lanka – The Jetliners. 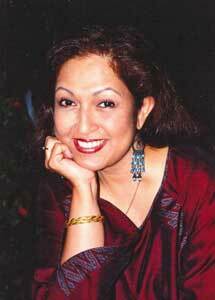 He introduced Mignonne and the Jetliners at the Coconut Grove at Galle Face Hotel in Colombo, Sri Lanka in the 1960s and on the airwaves of Radio Ceylon. 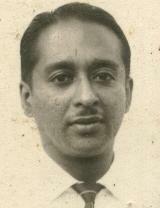 Mignonne’s late husband, Tony Fernando was a close friend of Vernon’s. 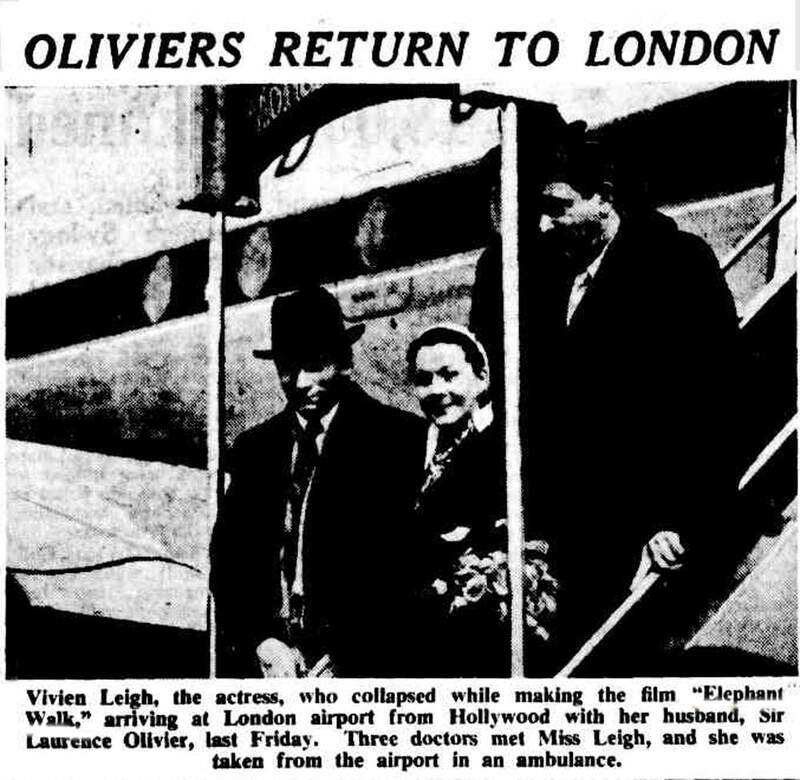 Sir Laurence Olivier was in Ceylon during the filming of Elephant Walk in January 1953. He was one of the world’s greatest actors married to the beautiful Vivien Leigh. 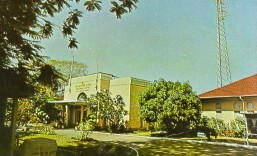 But he had to take an unexpected trip to Ceylon landing at Ratmalana Airport in January 1953. His wife Vivien Leigh who was given the starring role in ‘Elephant Walk’ was having a massive breakdown. Irving Asher, the producer of Elephant Walk sent frantic message to London urging Laurence Oliver to fly to Ceylon. The stars fly to Ceylon. 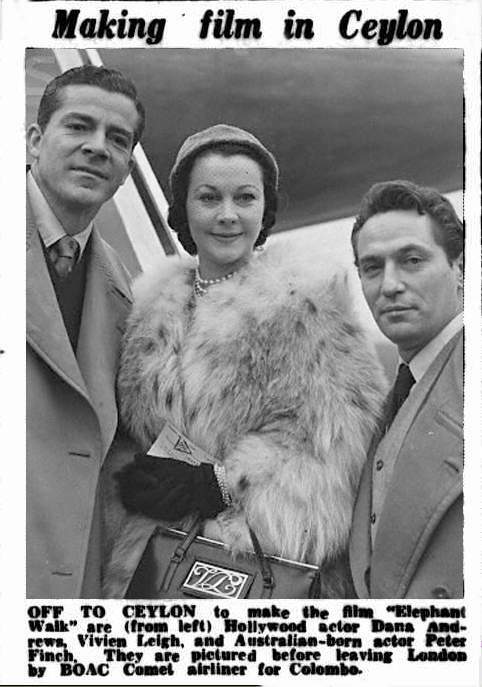 ‘Just one week later, in January 1953, they flew to Ceylon, Olivier requesting Finch at Heathrow “to take care of her”, not specifically stating that he meant she was afraid of flying. “Don’t worry,” replied Finch, “I will.” And he certainly did, far beyond the fear of flying. “When their plane arrived at its destination,” writes Capua, “Vivien and Finch [remember he had encountered the island as a child] were enchanted with its natural beauty and by the local culture, which evoked many memories of her childhood.” Memories apart, inexorably the exotic ambience fuelled their already intense love affair, probably the most dazzling and spellbinding to have occurred among stars during the history of location filming in Ceylon/Sri Lanka. “One night after a gruelling day’s work she drove all the way from Anuradhapura to Kurunegala to watch a devil dancing ceremony which had been laid on for her.” The story goes that she became convinced that the devil had taken possession of her, but Bawa makes no mention of such a calamitous situation. Other stories claim she tried to seduce a 64-year-old assistant, refused to act if Dieterle was looking at her, and always wanted to wear her costume wig tilted back. There was a growing fear of those dark eyes, night fires, the jungle, the heat. Finch and she drank heavily. Soon she became pale and emaciated. Dieterle, at his wit’s end, ordered her to rest, which made her defiant. 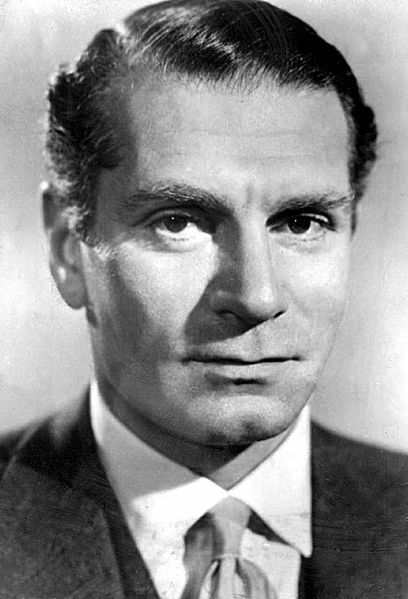 In his autobiography, Confessions of an Actor (1982), Olivier recounts that although Vivien had departed for Ceylon a fortnight earlier, “It seemed hardly two minutes before my peace was shattered”. This was due to a frantic phone call from the film’s producer, Irving Asher, to Olivier’s agent, Cecil Tennant, imploring him to send his client to Ceylon as work was at a virtual standstill. Olivier insisted she return to work immediately. “This was met by a blaze of rage that surprised even me,” he writes. “In the unhappy colloquy that followed, I thought ruefully of the wretched waste of time, effort and money that I had been party to.” When they reached the Queen’s Hotel, Kandy, Olivier found that Finch was in as much control of the situation as he would have been. He was superfluous. Vivien’s maid claimed that Vivien and Finch had not been to bed together but had stayed up and “lain together all night on the hillsides” – which meant she staggered to work each morning, was haggard, and often forgot her lines. Luckily Finch accompanied her on the trip, for as soon as the plane took off from Ratmalana Vivien unfastened her seatbelt, stood up and screamed that one of the wings was on fire. Assisted by the flight attendants, Finch tried to calm her, but she became hysterical, beating the plane windows with her fists and threatening to jump out of the plane. Then she started to strip off her clothes, clawing at everyone who tried to intervene, until finally they managed to sedate her. Vivien was swiftly sent to England for treatment for if she was diagnosed with mental illness she risked being confined to an institution. Thus Paramount was forced to terminate Vivien’s contract and find a substitute actress for the remainder of the filming. That person turned out to be Elizabeth Taylor, aged just 21, yet who had attained child stardom in 1944 in National Velvet. The long shots filmed in Ceylon with Vivien were used in the film, while all the dialogue and the close-ups had to be shot once again with Taylor. So the intended version was never completed, and Cinema has been left with an unsatisfactory hybrid; Vivien’s fans with just a few long shots to appreciate. The Oliviers return to London from Ceylon. Vernon Corea enjoyed watching the film ‘The Purple Plain’ starring the American Hollywood icon Gregory Peck in 1954. 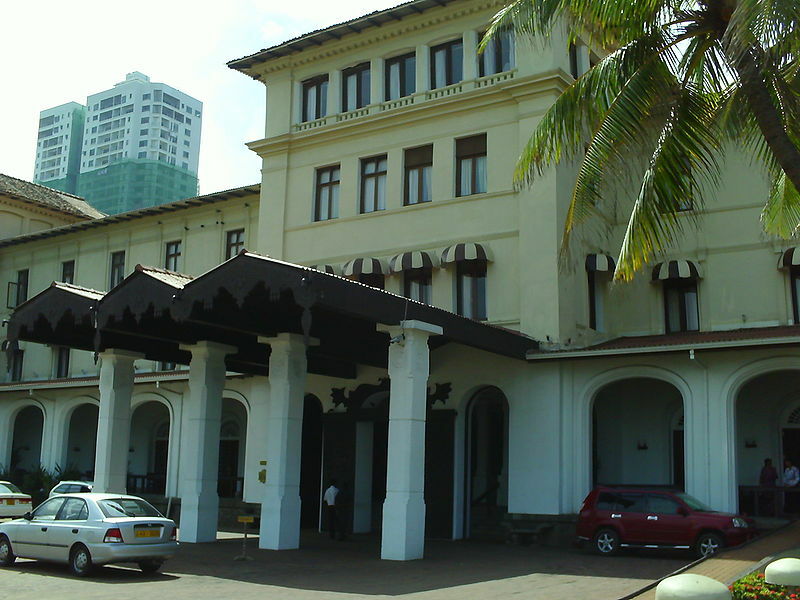 Gregory Peck stayed at the Galle Face Hotel in Colombo during the film. The Purple Plain (adapted from the book written by H.E.Bates with the screenplay by Eric Ambler) was filmed in Sri Lanka. 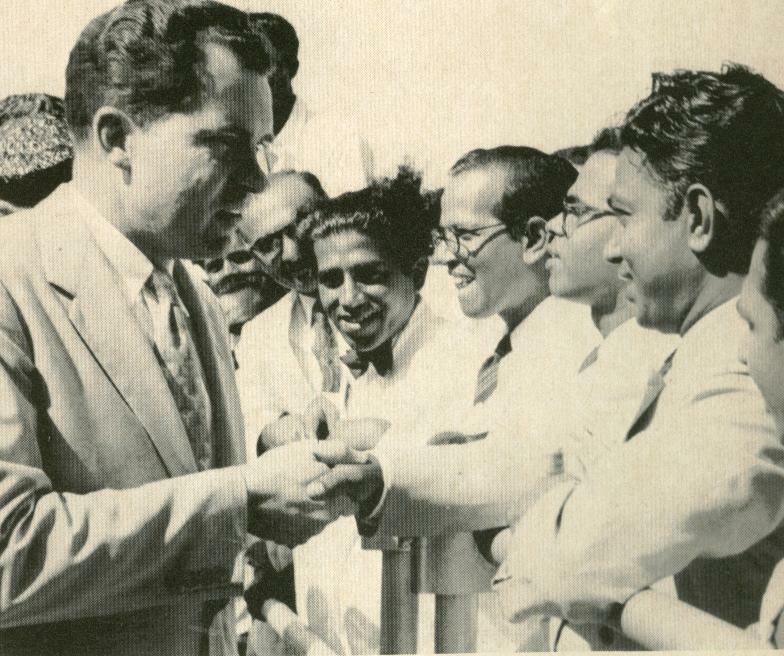 US Vice President Richard Nixon recorded a radio broadcast over Radio Ceylon on 28th November 1953 during his visit to Sri Lanka. Richard Nixon’s message went over the airwaves of Radio Ceylon at 8.45 p.m. on the night of 28th November 1953. 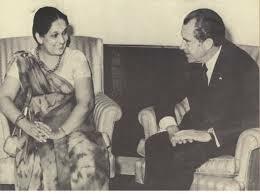 President Richard Nixon met with the Prime Minister of Ceylon Mrs Sirimavo Bandaranaike at the Oval Office of the White House in 1971.